How does one know if your faith is “really real?” Christians can sometimes get hung up unnecessarily on this question, but it’s an easy one to ask. When you don’t have a dramatic night/day testimony it can seem all the more difficult to answer. The Church can complicate matters by sometimes venerating the Damascus road kind of conversion of the overtly evil man immediately transformed. Such people have more certainty, we assume, and so have greater faith and a more profound Christian experience. But aside from the exceptional experience of St. Paul, very little in the history of Christian spirituality suggests this as the norm. Every significant spiritual writer I am aware explains that God almost always works slowly over time through the mundane aspects of life. Growth in holiness comes by putting one foot in front of the other. It makes sense then (barring exceptions of course), that those who had an early start and never traveled in the wrong direction for long periods of time would be further up the mountain than even the “dramatic” converts. Two recent works I encountered bear this out. We have no equivalent to Malcolm Muggeridge in the west today. To get him we would probably have to combine G.K. Chesterton, Truman Capote, and David Brooks. He made his career as a journalist first, but later became a social “man about town” who rubbed elbows with the media and intellectual elite of English society. He then rejected much of the pomp and circumstance of his life and converted to Christianity. He wrote many books, perhaps his most famous being his autobiography, Chronicles of Wasted Time, a work spread out over three volumes. In the first volume, “The Green Stick,” he tells the story of his early life, and his embrace of the liberal left. On this historic occasion when . . . There can be no one here present who . . .
We have just passed through an ordeal that . . .
No thinking man will underestimate the . . . While there are many circumstances which . . . While recognizing the reality of . . . It is surely incumbent upon all of us to . . . Such is the choice that at present confronts . . . It is idle to think that politicians can . . . It rests with the common people to . . .
With head erect and clear purpose we . . .
One feels the sham nature of so much of our modern existence reading Muggeridge. Having drank deeply from the world, he can expose it all the more readily. This brief clip illustrates not only his fabulous voice (and who wouldn’t want the life of sitting around, smoking, and giving one’s opinion on everything), but also his abhorrence with that which most fascinated the 20th century. Muggeridge takes his title from the Russian legend of the Green Stick, so dear to Tolstoy. In this story, should anyone find the Green Stick he would have the power to remove all suffering. The simplicity of the idea charms anyone, but of course nothing is ever that simple. 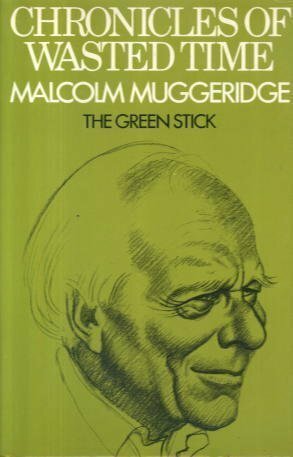 Muggeridge as a boy talked of his wish for the same Green Stick, which may have helped lead him down socialist paths in his younger days. One can’t fault him for this, but it strikes me that occasionally Muggeridge’s rejection of so much he experienced led him to oversimplify in the other direction. Even his brief quote in the clip above reveals this flaw. Power is not evil in itself, obviously, for we rejoice in God’s own power. Naturally no one on earth perfectly uses power, and most abuse it in great or small ways. Some of the greatest saints of the Church divested themselves entirely of earthly power. Muggeridge’s style easily engages the reader, and he mixes humor with profound insight almost perfectly at times. I recommend him. But he also comes across at times as someone with a bit too much baggage. He has a hard time appreciating things in general — perhaps he ruined his palate with the life he led. A convert to Christianity somewhat later in life, I think he still struggled (as I and so many of us do) to see things clearly as they really are. 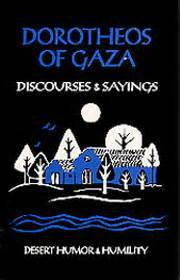 The Discourse and Sayings of Dorotheos of Gaza are not as entertaining to read as Muggeridge, but one senses quickly that his writing comes from a much different place. His stories have an endearing simplicity, though perhaps lack penetrating insight. His instructions about the spiritual life seem immediately obvious, but then, the best kind of teaching usually has this quality. What really struck me, however, about reading this on the heels of Muggeridge was how Dorotheos comes across as so unencumbered, so free of the “issues” that run rampant in modern experience. He led a simple, unadorned life with monks in the wilderness, and this gives him an almost perfect freedom. If nothing else, it shows how the dramatic, worldly convert is not better off, and often has less to teach the Church, than the slow and steady Christian who has lived the Christian life with others for countless years. The clarity and simplicity of the Discourses reminds of Dante, who knew something akin to Dorotheos when he ended his journey by seeing God as a single point of light. 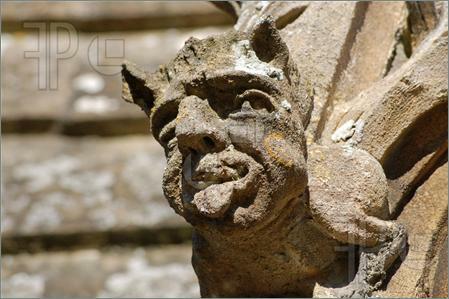 *This, I’m sure, was the true purpose of the medieval gargoyle — they had little to do with scaring anyone. They were meant to mock us, to humble us, to poke fun at the culture around us. That’s why I hate the famous Darth Vader gargoyle on the National Cathedral, which pats our culture on the back in a cutesy way. I suppose though, that’s what happens when we have a “National” cathedral which serves ultimately as a monument to ourselves.